Noah Tager has always played by the rules and proudly wears the label "Local Hero." But before he leaves to become one of The Few, The Proud, The Marines, he wants to turn his fantasies into reality with the one woman who has always been off limits. 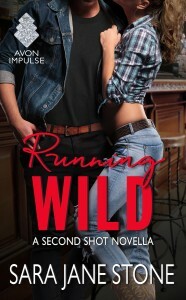 When it comes to her less-than-stellar reputation, Josie Fairmore is ready and willing to cross over into nothing-left-to-lose territory, if it leads to an all-night ride with the man of her X-rated dreams. With her big brother leaving in the morning to "Be All He Can Be" in the Army, Dominic will never find out about her fling with his best friend Noah. But one wild ride together doesn't change the fact that Noah's leaving in the morning-and he's taking Josie's heart with him.